Choose from 3 unique and exciting Las Vegas food tours. Each food tour offers an experience to compliment your perfect Las Vegas vacation. From family friendly to a thrilling evening of surprises, Taste Buzz Food Tours has a food tour just for you! 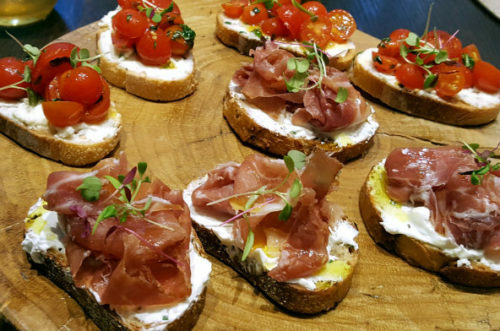 On this food tour through downtown Las Vegas, you will be taken to some of downtown’s best foodie spots where you will delight in a variety of fun flavors that the trendy local scene has to offer. 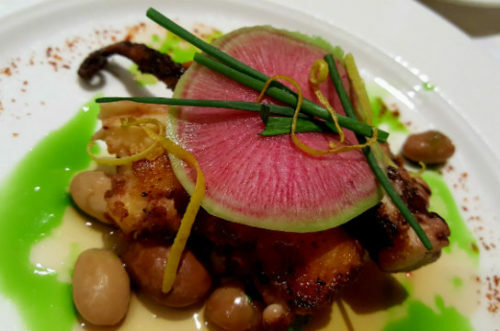 Each foodie stop is a must-try hot spot for all foodie lovers. You will enjoy a signature tasting of both savory & sweet for a complete meal bursting with flavor on this three hour guided walking tour. Combined with top attractions for some sightseeing, this is the best way to experience Downtown Vegas in just a few hours! 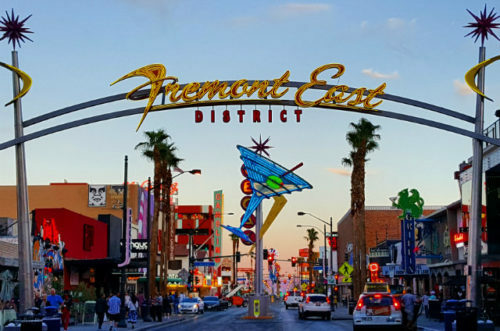 Our Downtown Delights Foodie Tour is a great way to explore Fremont Street and experience DTLV’s unique vibe. Plan the tour early in your vacation so you can revisit some of your favorite spots or at the end of your trip and make sure you don’t miss a thing! Reserve your food tour today! On this one and a half mile guided walking food tour on the Las Vegas Strip, you will be taken to a variety of foodie favorite stops right in the heart of Las Vegas Blvd. Each stop is an exciting adventure for all foodie lovers! You will enjoy a signature tasting of both savory & sweet for a complete meal bursting with flavor. Learn about some interesting foodie facts, and visit some photo worthy attractions and amazing views along the way. See real live flamingos at the wildlife habitat! Our Foodie Tour on the Las Vegas Strip is a great way to sample many of Las Vegas’ delicious foodie spots for one meal. Plan the tour early in your vacation so you can revisit some of your favorite spots or at the end of your trip and make sure you don’t miss a thing! Start times: 7pm Friday & Saturday evenings – please check schedule for availability. *if you would like to reserve a private tour, please inquire at [email protected] for more information. On this exciting food tour through the largest Las Vegas resort, experience a culinary adventure you can only find in the Entertainment Capital of the World. You’ll visit several of Vegas’ hottest restaurants located on the Las Vegas Strip samping small bites at each stop. Your host will meet your group at a familiar area which is to be announced after your tickets have been confirmed. Your host will accompany your group to your first stop where you will sit down to begin your dinner. As your host takes you to each new location, you savor on signature tastings of some of the most popular dishes offered at each restaurant. Your last stop, and definitely the sweetest way to end the tour, will be with a tasting of dessert. Our Dining Like the Stars food tour is a great way to sample many of Las Vegas’ top restaurants in one night. Plan the tour early in your vacation so you can revisit some of your favorite spots or at the end of your trip and make sure you don’t miss a thing!